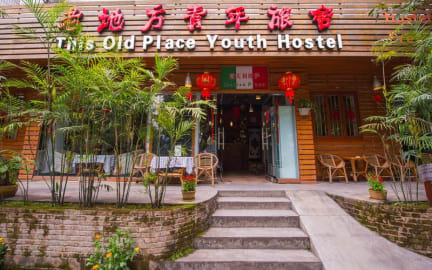 This Old Place International Youth Hostel, Guilin, Chiny : Rezerwuj teraz! As one of the most unique hostels in Guilin, This Old Place will surely provide a memorable experience for your stay in Guilin. This Old Place is easy to reach from anywhere. Only 15 minutes from the city center. Here makes everything easy and possible. Why to choose This Old Place? *Every Wednesday ----Chinese New Year Party Day---- our weekly dumpling making party. Our incredibly friendly staff will teach you how to make traditional Chinese dumplings, and how to cook and eat like as is done with big Chinese families. It is the best way to learn about Chinese family culture. *Every Saturday in summer----rooftop BBQμsic day. We have BBQ, music and beers. It is your time, singing, dancing and drinking together with all the guests from all over the world. This is not just a place found in dreams. This is the reality at This Old Place, now. *Every Friday ----the movie night. You can not miss it. Local beers buy 2 get one for free. No where you can get the same priority only in This Old Place. *No lock out, no curfew!